I’m very curious as to how the content relates to the title. I can see two possible threads: how the moments that smell like luck often (though not always) can be traced back to our conscious decisions, or a manual on being scrappy as hell, despite the natural fear of risk. 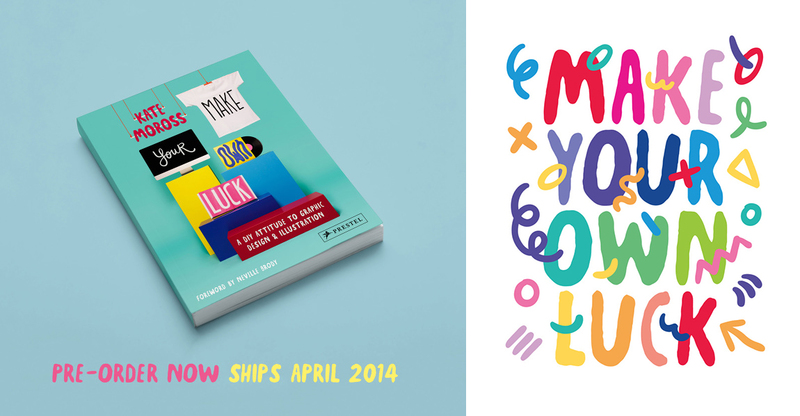 Make Your Own Luck is sure to be an encouraging, hyper-color read; find preordering information on the official site, and check out more of Kate’s exuberant work on her personal site and studio portfolio.